At the heart of Auckland’s new Wynyard Quarter is the historic original wharf cargo shed. The conversion of this important heritage building into a bar and restaurant needed to be carefully considered. This fit out is all about the shed. The design inserts requisite elements such as the toilets, kitchen and bar servery, in a manner that lightly touches the existing building fabric and new services and ducts are exposed to view. Retaining the grimy paint peeled sarking, roof trusses and bare corrugated iron ceilings, permits the significant heritage character to shine through and to be understood and appreciated. This is an unpretentious bar with great food with a matching interior that is full of character. 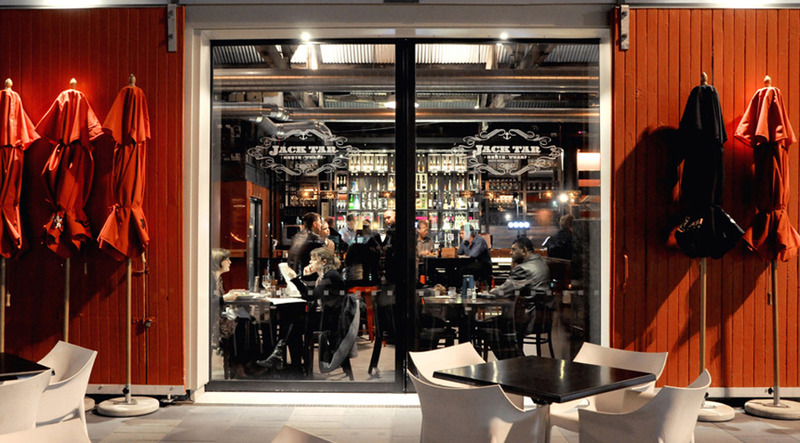 Jack Tar Bar was awarded the 2012 NZIA Auckland Regional Award for Heritage Architecture.